In response to the interdict sought to stop yesterday’s signature of the Power Purchase Agreements (PPAs) for 27 renewable independent power producer procurement programme (REIPPPP) projects, the Life After Coal Campaign emphasises the urgent need for a rapid, but just transition from coal to a low carbon future. Workers in power stations and coal mines are understandably concerned about what such a transition means for their employment future. Coal workers must have a place in the renewable economy. At the same time, in the context of 40% unemployment and gross inequality in South Africa, a just transition must be about creating a more equal society in which everyone has a place. This is not only the responsibility of government: workers and community groups, particularly those who are affected by the coal economy, should be at the centre of the process. The transformation of the South African national power system has reached a critical moment. Climate change impacts are very evident in the recent country-wide drought, which is ongoing in the Western and Eastern Cape. Impacts will intensify over the next decades. As it is, air pollution from the coal-fired power stations results in early death of thousands of people and in poor health for hundreds of thousands each year. The REIPPPP has contributed towards our national climate change response and our international efforts to reduce greenhouse gas (GHG) emissions. Approximately 11.2 Mton of CO2 (carbon dioxide) equivalent emissions have been avoided since the inception of REIPPPP. Circumstances around electricity supply and demand have changed dramatically since the Integrated Resource Plan for Electricity (IRP) was published in 2011. Five units at Eskom’s Medupi and Kusile coal-fired power stations are now on line. Each of those units produce more power than the whole of Eskom’s Komati power station. At the same time, demand for electricity has fallen dramatically, partly because Eskom has driven up the price of power in order to pay for Medupi and Kusile. Indeed, in the recently published National Planning Commission Report on Energy, it was recognised that the time and cost overruns of Medupi and Kusile have resulted in a financial burden for Eskom and eventually end-users through the electricity tariff. This is why units at the older stations have been put on “cold reserve”. Although these plants are reaching the end of their design lives and Eskom is required to decommission them, Eskom has not announced any plans to do so. Instead, they continue to ask for extensions of time to comply with pollution standards, thereby causing significant harm to the health of the people on the Highveld through ongoing air pollution. While it is difficult to project exact numbers, it is also clear that renewable energy has considerable job creation potential. CSIR research finds that a total of over 2 274 173 direct, indirect, and induced jobs could be created between 2020 and 2050 in the wind energy sector. It is important that existing and potential jobs in the renewable energy sector are defended and supported. Moreover, the legally-required decommissioning of coal power plants and rehabilitation of coal mines would also give rise to extensive employment opportunities. There can be no dispute that new renewables are now much cheaper than new coal. Power from the first REIPPPP rounds was indeed expensive in order to kick-start this industry, but costs fell rapidly in subsequent rounds. The latest projects were bid at 62c a kilowatt hour. By contrast, the two coal IPPs have been bid at R1.03/kwh. It is thought that power from Medupi and Kusile will come in at R1.70 and R1.91/kwh respectively. Given Eskom’s precarious financial position, it is simply unsustainable to continue to purchase electricity from a more expensive source if a cheaper one is available. In the REIPPPP process, government reserved renewable energy production for the private sector. The Life After Coal Campaign advocates for a vibrant renewable energy industry in South Africa that includes community and public ownership and benefits. For this reason, in addition to the REIPPPP, the barriers to small-scale, community-based renewable energy investments must be removed to encourage and enable a just transition to renewable energy for the people. 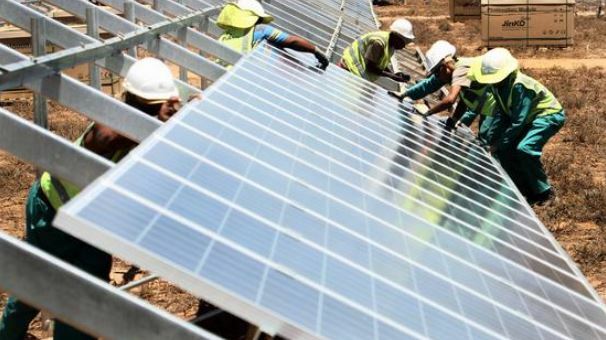 We argue that Eskom itself should play an active role in the just transition and substantially increase its own production of renewable energy as a matter of urgency. Finally, we have repeatedly highlighted the need for broad and comprehensive public participation, with robust engagement with civil society and communities, in energy planning – particularly in relation to the long-awaited IRP. South Africans deserve to be supplied with the cheapest, cleanest electricity available. We therefore firstly call on government to sign the power purchase agreements for the current 27 renewable energy projects as planned. These projects represent only 1.5% of electricity supply, taking the total contribution of renewable energy to electricity supply to just under 5%. Secondly, we call on government and unions to start an urgent, broad-based consultation process to design appropriate measures to prepare the country for the transition away from coal – that is accelerating at a global scale – with a particular focus on support for workers in the coal industry. Paragraph 223 of the answering affidavit of Mark William Pickering, in the interdict application brought Coal Transporters Forum. Case no 42887/17. CER can make these court papers available on request. See the study by Grové Steyn, Jesse Burton, Marco Steenkamp, 15 November 2017, available at http://meridianeconomics.co.za/wp-content/uploads/2017/11/Eskoms-financial-crisis-and-the-viability-of-coalfired-power-in-SA_ME_20171115.pdf. Figure 14, at page 44. Nicole Loser, Attorney in the Centre for Environmental Rights’ Pollution & Climate Change programme, on 082 788 0873. Bobby Peek, Director of groundWork, on 082 464 1383. For any other media queries, please contact Annette Gibbs on agibbs@cer.org.za or 082 467 1295.